According to a report released today by the hospital’s in-house sustainability team, monthly water usage within the hospital fell from 28,787 cu m in December 2016 to 19,830 cu m in September 2017. Irrigation water usage fell from 3,978 cu m in December 2016 to just 1,092 cu m in September 2017 – saving the equivalent of one and a half Olympic swimming pools worth of water a month. From last month -- November 2017 -- around 70 per cent of Cleveland Clinic Abu Dhabi’s hot water demand has been met by solar water heaters – something which will save the hospital Dh750,000 ($204 million) a year on its utility bills and further reduce the hospital’s carbon footprint. 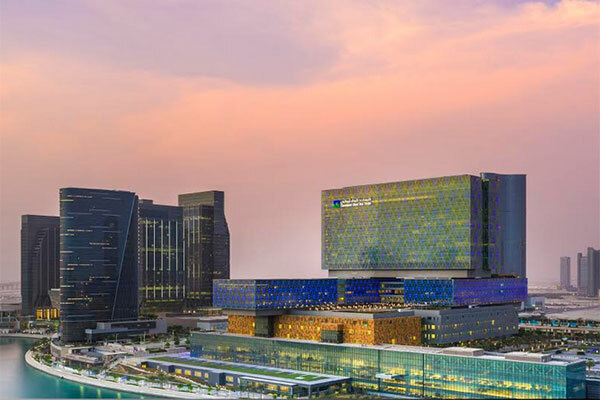 In 2014, Cleveland Clinic Abu Dhabi became the largest hospital in the GCC to have been awarded a Leed (Leadership in Energy and Environmental Design) Gold sustainability certificate for new construction. In contrast to Cleveland Clinic Abu Dhabi’s sustainability efforts, hospitals typically use around twice the amount of energy of similarly-sized office buildings and the number of new hospitals opening across the GCC region is set to grow by more than 10 per cent over the next three years.